Professor Zwart, the EU project PRINTEGER aims at promoting integrity as an integral dimension of excellence in research. What does research integrity mean? How do you define research integrity? For me, research integrity is a multi-dimensional concept. First and foremost, research integrity is an integral part of the scientific method, the scientific ethos. Reliability, trustworthiness, accuracy, sensitivity, responsibility, carefulness, precision, trans-parency, commitment, etc. : that is what science really is all about. A researcher must be a reliable source of information. Also, collaboration and mutual learning is important in science, so trust is important. At the same time, we have to be aware of the fact that we have our shortcomings and blind spots, especially the ones we ourselves are not aware of. Therefore, we have to expose ourselves to the judgements of others. We have to be skeptical towards ourselves, so that self-surveillance and self-monitoring and life-long learning are as important as peer review. But perhaps the most important thing is the Socratic awareness that, in many ways and in many situations, we are unable to know exactly what integrity is. In other words, for me integrity is first of all a challenge: we researchers are exposed to integrity challenges, and some of them are quite new; and we have to come to terms with them, individually, but also collectively. Why is research integrity such an important topic? Science is changing, science is adrift. Science used to be a small-scale artisanal practice, but this is no longer the case. Research is conducted on an international level, by large-scale networks and consortia. Intelligence, but also responsibility, has become distributed. Science is becoming big science, is becoming anonymous. Automation, computerization and robotics are important developments. The individual autonomous research is becoming marginalized and replaceable. Large-scale funding is becoming a decisive issue. It is against this backdrop that integrity issues have to be addressed. Concerns about these developments are summarized under the heading ‘integrity’. We have to redefine what integrity entails in the era of big science. We need a macro-ethics, an ethics which enables researchers to address integrity challenges in complex situations affected by global dynamics. PRINTEGER is a project funded by the European Commission. Why is it important to discuss research integrity at a European level? Research integrity has always been an important issue for European scholars. We build on an impressive tradition, including important key documents such as Weber’s Science as a vocation or Husserl’s The Crisis of the European Sciences or Lyotard’s The post-modern condition. At the same time, research is becoming a global, planetary endeavor. We cannot simply export European ideas from the past to others regions or to new podiums. Rather, what we need is an international mutual learning process. But building on the European tradition, we can and should significantly contribute to such a process. Science is basically a progressive force, intended to contribute to building a better world, but at the same time we know that science and technology can be disruptive and that collateral damage will occur. This means that we need researchers who are committed to this dimension, who care for integrity of research and who are sensitive to the societal dimension of research. Science can only flourish insofar as scientist critically consider the integrity dimension of their work, but this has become a complex task, in view of the various (often conflicting) claims and expectations to which scientists are exposed, so that research has become one of the “impossible professions”, as Freud once phrased it. This means that scientists have to be empowered to address these challenges in an effective and responsible way. To this process, PRINTEGER intends to contribute. How will PRINTEGER contribute to the promotion of a research culture in which integrity is a crucial factor? Integrity challenges should become an issue for all departments and institutes committed to doing quality research. Academic deliberations should not only address issues of methodology or funding opportunities, but also integrity conflicts. Such deliberations should not be out-sourced to special committees, etc. but rather should become an integral part of the actual research practice. Future and early stage researchers must be trained, not only in new technologies and methodologies, but also in identifying and addressing integrity challenges. So, yes, integrity should become part of the collective research culture. Integrity should not be seen as an external supervising gaze, but as something which is fully embedded in the research practice. Where do you see the main strengths of the PRINTEGER consortium? For me, the main strength is that integrity challenges are addressed on various levels. We acknowledge that integrity challenges and misconduct have become a concern for managers. But it is also a concern for researchers themselves, and for educators of future researchers. It is an issue of concern for journals, but also for authors. So, for me the strength is, first of all, the fact that integrity is addressed from multiple perspectives. What we initiate is a mutual learning process involving multiple voices. Also, what I find important is that it is not a purely academic project (reflecting on integrity), nor a purely technical project (designing tools to counteract ‘misconduct’). Rather, it combines, in a cyclical way, interpretation (hands-off reflection) with interaction (creating podiums for mutual learning) and implementation (developing educational tools and policy advice in a hands-on way). Finally, I see it as a strength that, rather than claiming that we already know what integrity is, we start from the awareness that there is a tension or gap between the formal (often rather predictable) discourse on integrity and the actual challenges to which researchers are exposed in daily practice. What are the target groups of PRINTEGER and how will you involve stakeholders into the project? First of all, researchers and research leaders who are actively involved in designing, conducting and publishing research. But also managers and funders of research. And finally students and teachers involved in developing educational programs. But these target groups are not merely the recipients of our results. Rather they are involved as sources of information and inspiration. In short, we hope that, increasingly, we will become their target group. What would you like politicians to do in order to promote integrity as an integral dimension of excellence in research? And what kind of contribution can the science community make to promote integrity? First of all, it is important that politicians and managers build on a clear awareness of what science is and should be. Let me give an example. This morning I had to fill in a questionnaire by our national research funding agency (NWO) concerning the results of one of our projects. In this questionnaire, academic articles were registered as “products”, while academic journals were referred to as “magazines”. It is just an anecdotal example, but such headings are symptomatic. They indicate that apparently this funding agency has lost contact with the field and no longer knows what science is about. This estrangement is reflected by the inadequacy of the language. For me, an academic article is not a product and a journal is not a magazine. What I mean is this: research must be managed by people who know what research and what research integrity is. By calling an article a “product” and a journal a “magazine”, something has already gone astray. 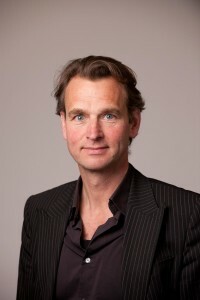 Hub Zwart, coordinator of the PRINTEGER project, is Professor of Philosophy at the Faculty of Science (Radboud University Nijmegen), director of the Institute for Science, Innovation and Society and scientific director of the Centre for Society and the Life Sciences (CSG).